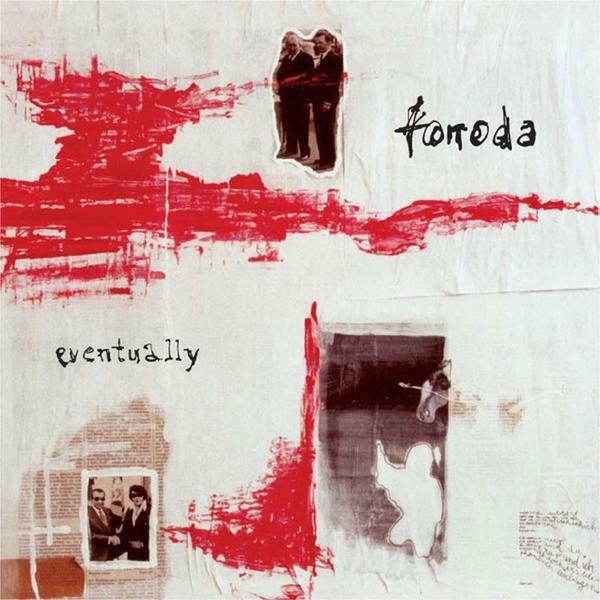 Having released their debut LP 'Blinker:Farben' way-back-when in 2002, Fonoda made an immediate impact through a sound which smelted influences such as Slint, Mogwai and Low into a crucible of sound that was both pithily melancholic yet sunny-side up optimistic. Pairing down their line-up from a quad to trio, Florian Doelzer (drums), Matthias Neuefeind (guitar) and Christian Unertl (bass) reconvened in 2006 to record the appropriately named 'Eventually' - wherein three year old drum tracks were used as a foundation, allowing a concrete base of rhythms to support the shimmering shoegaze/post-rock heat-haze above. Apple scented and overflowing with bilious plumes of guitar chimes, the opening track 'A Spiral Ant' is dripping in slow-motion aesthetics that bewitch the ear and snag the strands of your consciousness with superglue virility. By no means a straight-laced excursion in vanilla rock, 'Eventually' is scattered throughout with creased samples and an encroaching tide of drones which nonchalantly infects the compositions to thrilling result. Recalling the early Ninties independent scene, Fonoda succeed where many have failed; managing to evoke the past without seeming to be retreading past glories. Cross pollinating the likes of Sigur Ros, Mogwai and Slowdive, 'Not Dead, Just Sleeping (They Are)' and 'Silence Means Disease' are gloriously ambitious in scope - bringing the best of their influences to bear on compositions that are wholly their own. Having collaborated with Zimmer (aka Henry OK) in 2004 they've pulled in their favour and drafted him on production duties to lend 'Eventually' a chopped atmosphere that is expansive and genuinely deserves the label 'soundscape'. Having collaborated with Zimmer (aka Henry OK) in 2004, Fonoda have brought him in on a number of tracks for production duties, lending "Eventually" a chopped atmosphere that revels in its expansive soundscapes. Elsewhere, "Silence Means Disease" allows the tender vocals just enough room to breathe between the bombastic choruses, "Stone Cold Seconds" employs a waterlogged beat, whilst album closer "Last Folder" is a towering epic that gives Mogwai a run for their post-rock money. Proper gorgeous and no mistake.